I found myself with 20 hours to spend in one of the most intriguing west coast cities I've been hoping to explore someday. For a city known for its rainy days, I lucked out with 70 degrees and sunshine. I arrived in Seattle at 11AM. By noon I was ready to take on a new city that I knew nearly nothing about. What a shame to visit a city without having done the appropriate research. I quickly browsed some geo-tags on Instagram to get a glimpse of the foodie scene before stepping out. 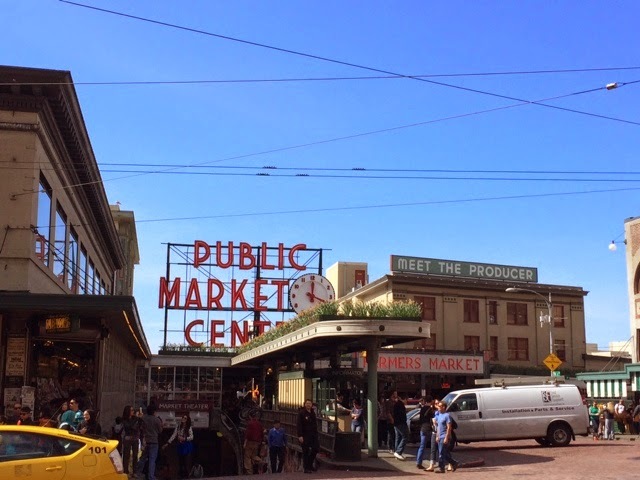 I found a new confidence in touring Seattle and stepped out on a mission to get fresh seafood at the Pike Place Market. Upon entering the market, I see the fish counter and a gimmicky show of fish-tossing that drew in a pitiful crowd, mildly entertained. As I browsed the 9-acre permanent farmers market I found several venders with everything from flowers to foods to jewelry. 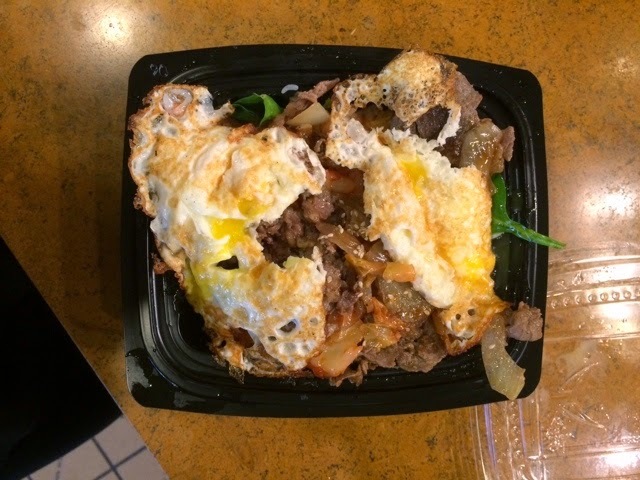 My first purchase was at Market BarBQ for the Market BiBimBap. It was beyond delicious, though not the most traditional version, and I appreciated the extra spicy kimchi with beef bulgogi and the fried egg on top! 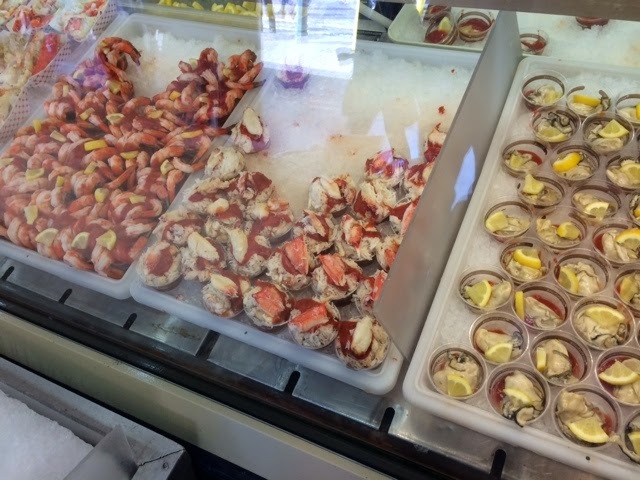 I walked to the City Fish Co for some fresh seafood. 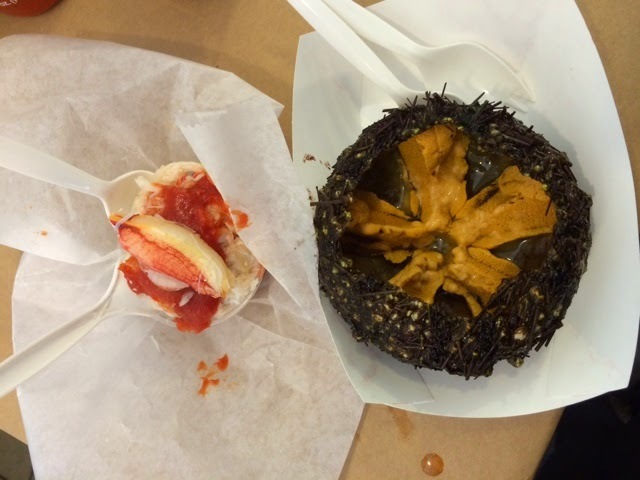 Sea urchin were cracked open and ready to eat in the display window. They were the largest I've ever seen! However, the taste was mild, perhaps from being washed a bit too well. The Dungeness crab cocktail was sweet and fresh. Next time I will try the king crab cocktail or oyster shooters, but eating here does not come cheap. Each item costs between $10-15 and I know I could have eaten lots more. Moving right along. 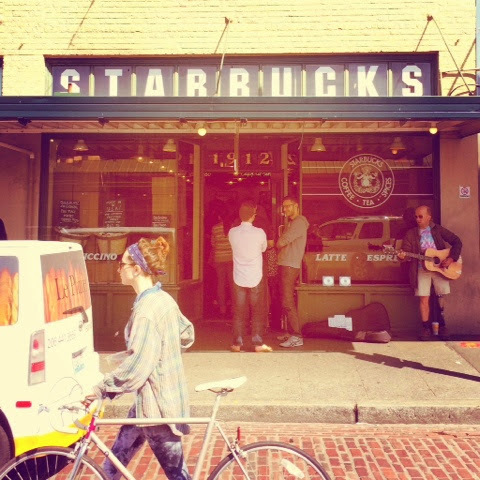 I had to make a stop at the original Starbucks. A musician was playing right outside the door. It was all very cute, but I just wasn't in the mood for coffee. Instead, I got on a line at another place simple because, well, there was a line! I knew whatever they were selling must be good. 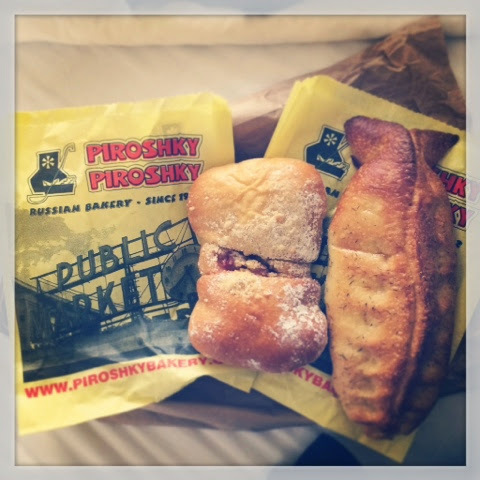 The name of the shop was Piroshky Piroshky. Known for their pastries, it is like he Russian version of an empanada. With a variety of sweet and savory flavors I tried the salmon pate, and the white chocolate cherry. By this point, I am almost too full to enjoy it. Almost. The rest of the day was spent walking off a small fraction of the calories I had consumed over the past several hours. Walking up and down steep hills made me feel less guilty. It was shocking to see so many homeless people and grungy druggies all intermingling in the park with young families and tourists. I love a good shock. 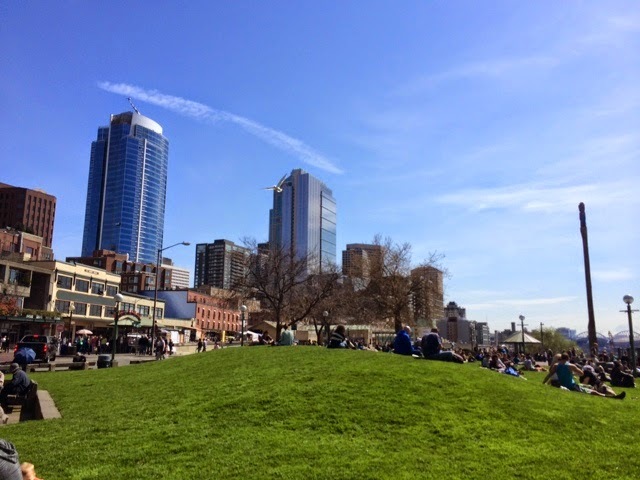 Seattle, I will be back!